An influential Ugandan judge has joined President Museveni in calling for tough laws for criminal HIV transmission. Justice David Wangutusi, director of Uganda's Judicial Studies Institute told a judicial workshop on gender equality that HIV-positive husbands who conceal their HIV status from their wives resulting in HIV transmission, should be given harsh sentences as a deterrent. Uganda's president, Yoweri Museveni gave a speech in March calling for the death penalty for anyone who is found guilty of Uganda's proposed criminal HIV transmission laws. The president's remarks drew sharp criticism from human rights advocates. 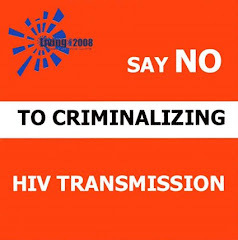 A spouse who knowingly conceals his or her HIV/AIDS status and infects the partner should be prosecuted, a High Court judge has suggested. During a workshop for judges and magistrates at Pauline Hotel in Lira recently, Justice David Wangutusi said the sentence for such people should be harsh to deter other likely offenders. “Magistrates should be responsive to the plight of women living with HIV/AIDS. You should also be gender sensitive when handling cases in which women seek judicial redress,” Wangutusi, who is also the director of the Judicial Studies Institute, told the participants. The two-day workshop drew judicial officers from the north and Masindi district. It was organised by the National Association of Women Judges of Uganda and the International Association of Women Judges, with support from Irish Aid. Wangutusi called upon the participants to approach gender issues with critical minds to effect quality and equal justice to all. “A closer examination reveals that inspite of the existence of equality principle in Constitution, there still exists beliefs, traditions, customs and attitudes that prevent the translation of abstract rights in the law into substantive rights in reality,” Wangutusi said. He castigated the custom of widow inheritance saying it does not recognize the widow as a human being with a mind and conscience. “It is in conflict with the equality principle. The tradition that only males may become heirs discriminates against females,” Wangutusi observed. Under the theme Jurisprudence of equality in a time of HIV/AIDS, judicial officers were sensitised on issues of promoting awareness within the legal fraternity and the public to the passive effects of gender discrimination and violence, the pervasive effects of gender discrimination and violence. They were also trained in skills needed to decide cases involving discrimination against women in accordance with International Human Rights norms among other issues.